A gorgeous little card perfect to say happy birthday to someone special. 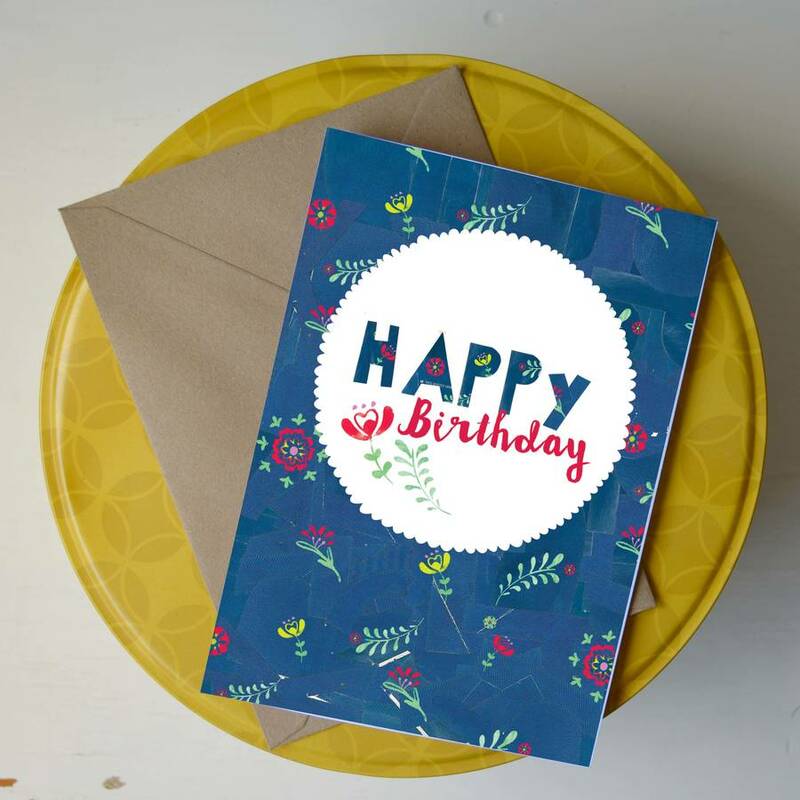 Our 'Paper Petals' card encompass everything that we love in Rosie & Radish land. Collage, ditsy prints, interesting paper textures, illustration and quirky type. Hopefully you will love the designs in this collection as much as we do! 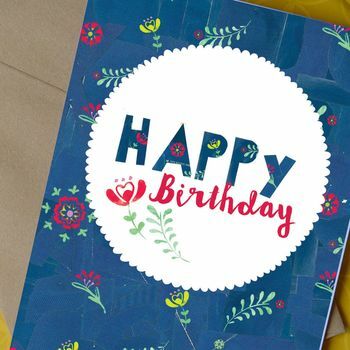 This cute little card has been left blank inside for you to write your own special message. A perfect way to say 'happy birthday' and make somebody smile. 12cm x 17cm, printed on 300gsm Accent Antique Silk card using a 4-colour print process that shows off the vibrant illustration. Comes complete with a matching kraft envelope and wrapped in a cello sleeve so it arrives to you in tip top condition.